Apple raked in more than 100 percent of all smartphone industry profits during the third quarter of 2016, despite owning roughly 12 percent of the market, according to new estimates published on Thursday. In a note to investors, BMO Capital Markets analyst Tim Long estimates Apple's share of handset industry operating profits hit an all-time high of 103.6 percent for the most recent quarter, reports Investor's Business Daily. Apple's super-100 percent performance resulted from losses posted by other major vendors over the same period. Apple rival Samsung placed a distant second on Long's list with a 0.9 percent share of profits, while HTC and LG ended up in the red. By comparison, Long says Apple took a 90 percent share of profits in the year ago quarter, though other estimates put that number as high as 94 percent on only 14.5 percent of total volume. Apple's results are all the more impressive considering fresh research published by Strategy Analytics, which noted iPhone continued to cede ground to Android during the September quarter. Specifically, iOS devices accounted for 12.1 percent of global smartphone shipments for the three months ending in September, down from 13.6 percent in 2015. Android gained ground over the same period, jumping from 84.1 percent to 87.5 percent. Looking at units sold, Samsung led smartphone unit sales in quarter three with a 21.7 percent marketshare, Long said. Apple came in second with 13.2 percent share, while Huawei managed 9.7 percent for a third-place finish. The estimates jibe with statistics released by market research firm IDC last month that show Apple grabbing a 12.5 percent share of global shipments. That same report saw No. 1 Samsung's marketshare erode to 20 percent —levels not seen since 2014 —due to the recent Galaxy Note 7 recall. The Note 7 fiasco obliterated Samsung's quarterly earnings, with the company's mobile unit suffering a 96 percent year-over-year decline. Apple in its most recent earnings release reported a dip in iPhone shipments from 48 million in the third quarter of 2015 to 45.5 million in 2016. 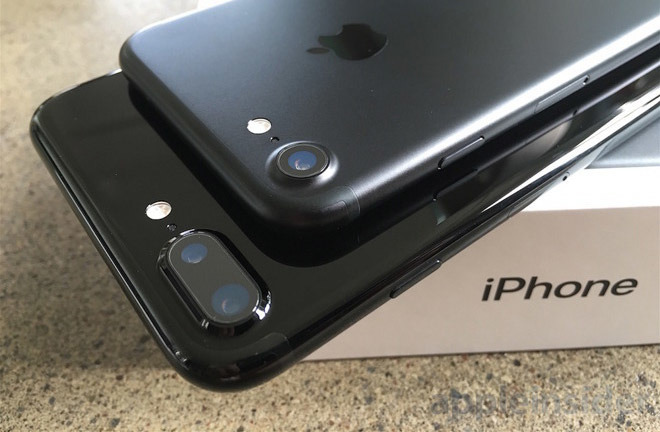 Despite continuing shipment declines, however, it appears high handset ASPs and demand for the new iPhone 7 series once again land Apple on top in profits.